Mark your calendars. Now Is Good finally has a premiere date for London on 13th of September. Jeremy Irvine, Dakota Fanning and Kaya Scodelario are confirmed to walk the Red Carpet. You can win a pair of tickets for the premiere in London and a meet and greet with Jeremy Irvine. To know how to win click here. More information in the following days. 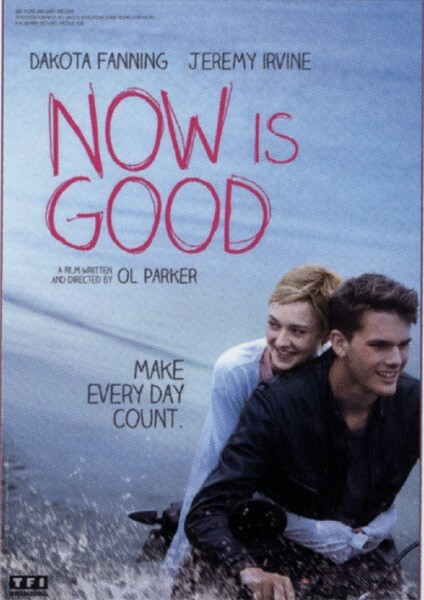 Don’t forget tomorrow is the UK Premiere of Now Is Good at the 21st Chichester International Film Festival. Welcome to the first website of the movie Now Is Good. The movie is set to be released next year, and I decided to make this website so everyone can be updated with news involving the movie, promotional stills, trailer, and interviews given by the cast. For now don’t expect this website to be updated everyday or even everyweek, but as the release date aproaches, it will be updated everyday. If anyone wants to help to update this website, by searching for news of the cast, or making lists or something related to this website just write your application in the comments section.